Thailand, formerly known as Siam until 1939 and again from 1945 to 1949, is now a nation of more than 69 million people. This tropical country, which has in possession a long coastline, pristine beaches, thriving cities and a strong Buddhist culture, is taking the world by storm, becoming one of the most desirable holiday destinations in South East Asia. As Thailand has so much to offer, it is ,indeed, a conundrum to be able to explore things to do in Bangkok in a mere three days. Nevertheless, a journey to its capital, Bangkok, is a great introduction to the country’s rich history and culture. So, with that in mind, here is what to do for 3 days in Bangkok. For your first destination of the day, a visit to the Pak Klong Talat flower market is a great choice. Its name ‘Pak Klong Talat’ means ‘The market at the mouth of the canal’. The place is the largest wholesale as well as retail venue in Bangkok and operates all 24-hour long, bustling with vendors, supplying flowers and flower-related goods. The market itself has rather a long history. Throughout the reign of Rama I, it was a floating market until the ruling of Rama V, during which it became a fish market. 60 years since then, the location remains the flower market most popular to the city’s residents. 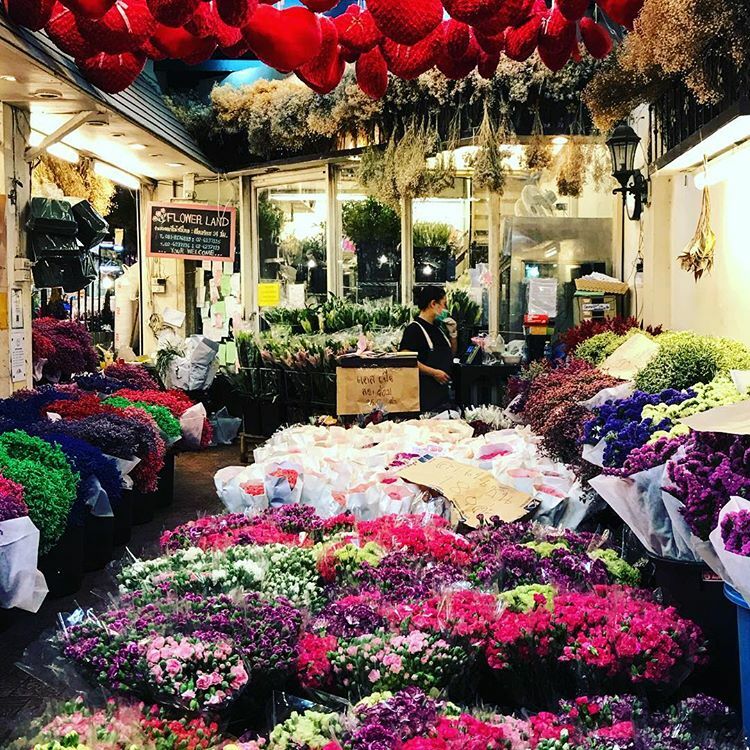 Upon entering the market, be ready to enjoy a kaleidoscopic masterpiece of blooming vibrant flowers of all shapes and sizes, from native species, such as jasmine or chrysanthemum, to foreign ones, such as the likes of tulips, snapdragons or irises. Pak Klong Talat is famous for its exoticism and lack of tourists, promising a truly local experience. The best time to visit is actually before the break of dawn, from 3:00 to 4:00 am, but other times can also be just as rewarding. Located near Chak Phet road, Saphan Phut Chao Phraya pier and the Memmorial Bridge, the market can be reached by taxi or Tuk Tuk ride. A beautiful corner of the market. Next stop, make your way to the Grand Palace, a symbol of Thailand’s royal monarch and the spiritual heart of Bangkok. The palace was built in 1782 and was home of King Rama I to V, being a part of the old Rattanakosin Kingdom. 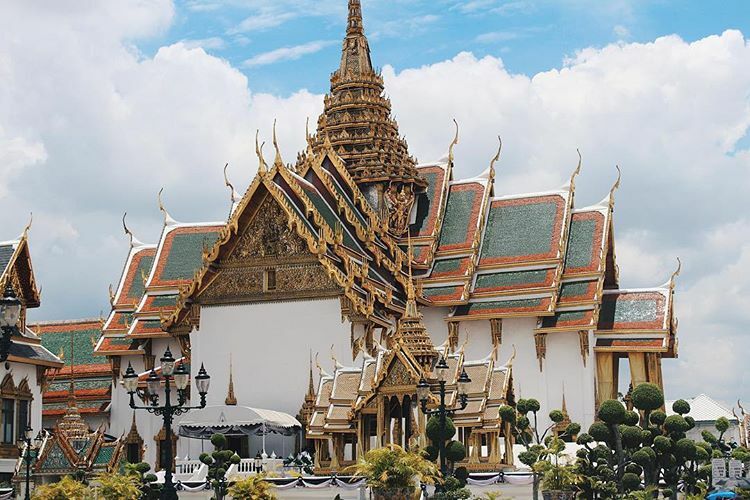 Nowadays, the Grand Palace, operating between 8:30 and 15:30, opens its doors to welcome visitors from all parts of the world and acts as a venue for many royal ceremonies. 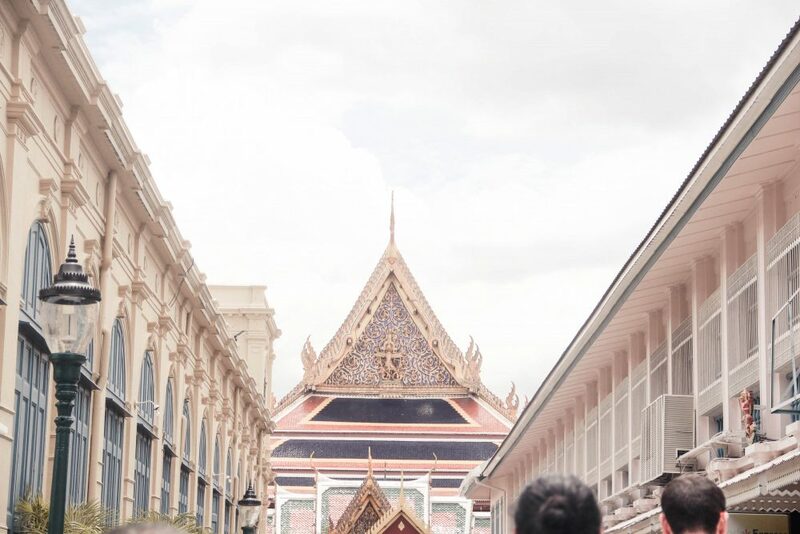 Visit Grand Palace and other iconic landmarks in Bangkok with Inspitrip now! The tour can be customised to your preference! Divided into three sections: The Outer Court, which happens to include the Temple of The Emerald Buddha, The Middle Court, where significant ceremonies, such as the royal coronation, take place, and, lastly, The Inner Court, whose South segment used to be a no-male zone with the King as the only exception. Besides the astounding architecture, the meticulously crafted details of statues and buildings, other attractions are the Pavilion of Regalia, Royal Decoration and Coin, Boromabiman Hall and Amarinda Hall. You can find the palace on Na Phra Lan Road, Old City (Rattanakosin) with a 500-baht entrance fee per visitor. 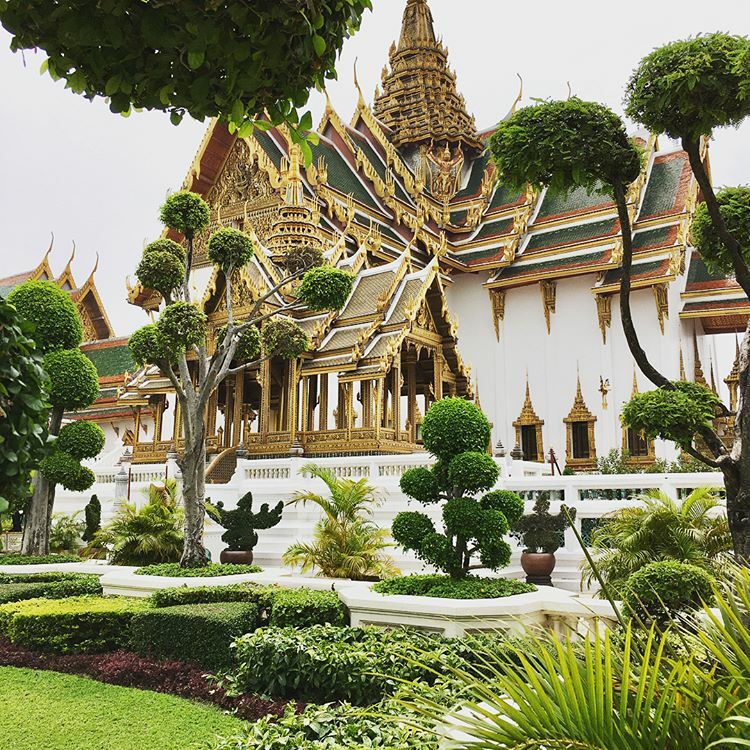 During your royal exploration of the palace, be sure to stop by Wat Phra Kaew, The Temple of The Emerald Buddha. The name can be quite misleading as it refers to the color of the statue rather than its composition, which is jade or jasper. Not as well-known is the statue’s official name: Phra Rattana Satsadaram. This famed artefact, whose origin is a mishmash of facts and fables, is a monolithic figurine of Buddha in a meditating pose. But more exciting, perhaps, are the clothes donned by the statue. The Emerald Buddha’s seasonal attires are changed only by the King of Thailand in correspondence to each season: summer, rainy, winter or cool. In a country where 90 percent of the population is Buddhist, this particular statue is, needless to say, the most revered. The intricately embellished multi-layered roofs of the temple. Your venture into the Grand Palace does not end with Wat Phra Kaew because you have one more stop waiting for you. Journey to the South of the Grand Palace and you will reach Wat Pho – the Temple of The Reclining Buddha, which precedes the capital’s founding and is regarded as the earliest public education center. Inside the temple, there are two prominent attractions for you to enjoy: Phra Ubosot and Viharn Phranorn – Chapel of the Reclining Buddha. While the first houses a Buddha statue gilded in a gold-copper alloy sitting on top a three-tiered pedestal of encrusted gold and crystals, the latter enshrines the famed Reclining Buddha of 15 meters in height and 48 meters in length. The Chapel and its enormous statue were constructed by Rama III in 1832. Upon entering the Chapel, you can observe the Buddha with a serene expression, a resting posture punctuated by a slight curl of arm, all of which marks his entry into Nirvana and the end of all worldly obsession. The statue’s soles are inlaid with pearls in religious patterns associated with Buddha. 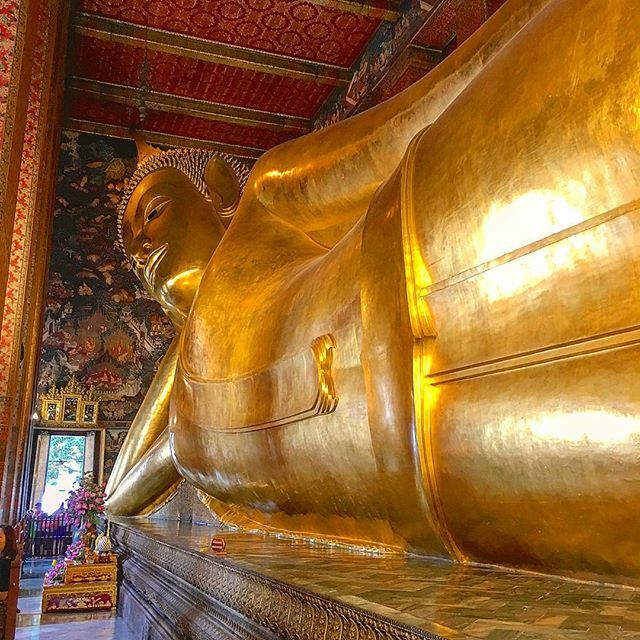 The serene posture displayed by the Reclining Buddha. 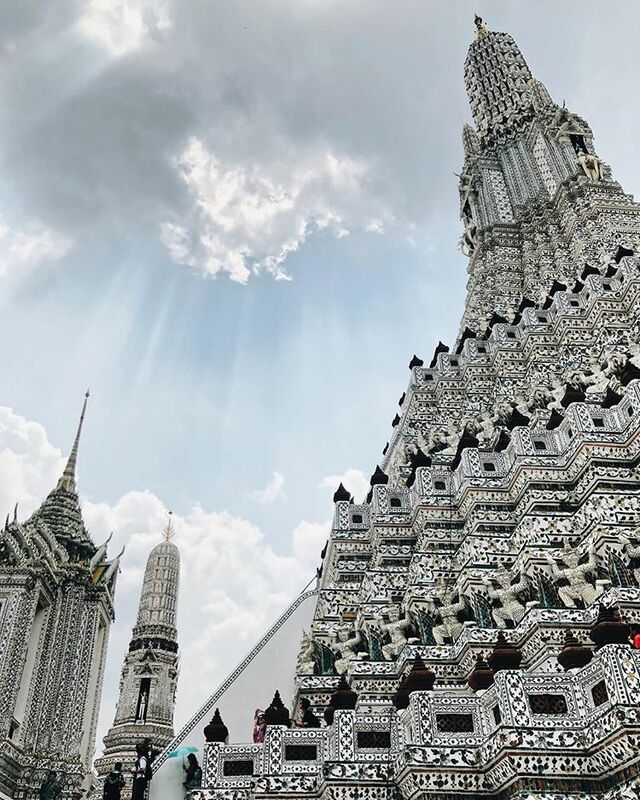 As for the next item on your list of things to do in Bangkok, look across the Chao Phraya River and you will see the Wat Arun gleaming in the glorious tropical sunlight. Wat Arun, locally known as Wat Chaeng, is situated on the West bank of Chao Phraya, almost directly opposite Wat Pho. 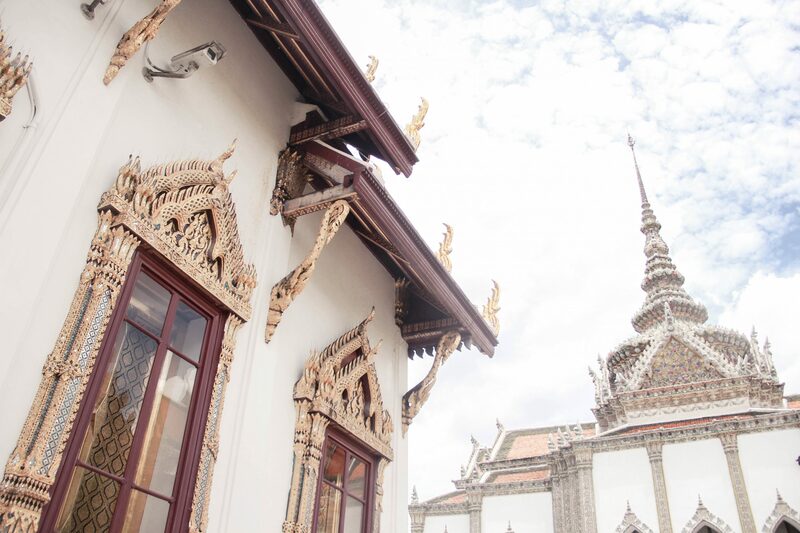 What sets this location apart from the Grand Palace is the distinction between architectural styles. Whereas the Grand Palace embraces a more glamorous grandeur, if not ostentatious, Wat Arun has a more ancient exterior. Erected by King Taksin in 1768, Wat Arun was the former home to the Emerald Buddha before the capital and palace were relocated to other side of Chao Phraya, the temple consists of five spires or prang. The towers are embellished with tiny pieces of colored glass and Chinese porcelain. Despite being dubbed ‘The Temple of Dawn, Wat Arun is equally beautiful at sunset. The temple operates between 8:00 and 17:30 and requires 100 baht for entry. Since it is conveniently located across the river, you can take a boat ride from Sapphan Taksin Boat Pier to Pier 8, then a shuttle boat can take you to the other bank for 3 baht. Since all of these are places of worship, a strict dress code is applied. So be sure to dress politely, no open-toe shoes or low-shouldered dress. The towering middle spire of Wat Arun. 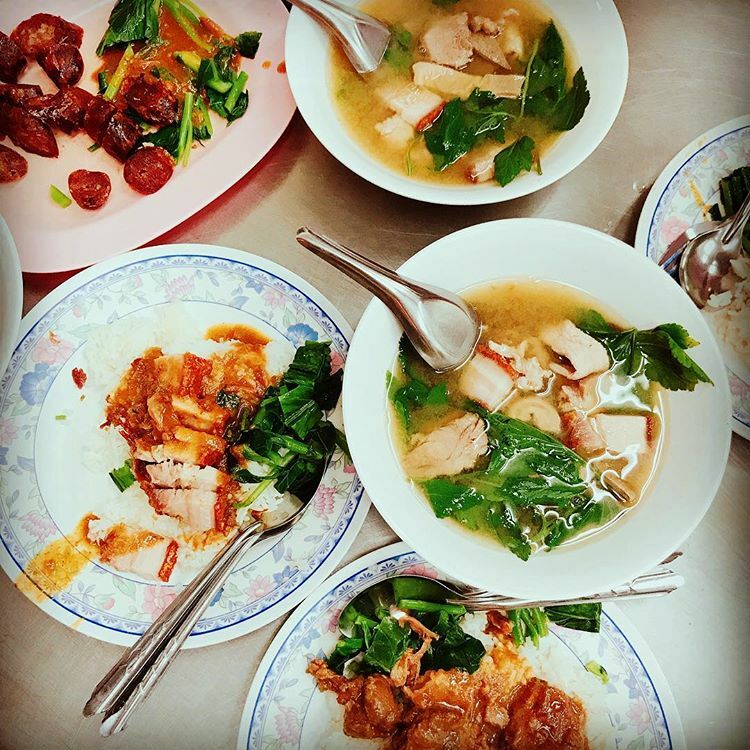 After a whole day of temple and palace exploration, it is high time you directed your attention to another winning aspect of Bangkok in order to complete your ecstatic first day – street food. It is fairly safe to say that you have not truly visited Bangkok until you have tasted its amazing street foods. Just as the city is ever-rising, its Bangkok street food scene is also restless and bustling, filled to the brim with excitement at every corner. One thing for sure is that there is not a dearth of street food sanctuary in the capital of Thailand. Most well-known is the hot spot Bangkok Chinatown – Yaowarat, which come to life after sunset. Get ready to be a great deal more intrepid as you will be navigating stall after stall precariously balanced on the pavements while trying your best to evade the advancing Tuk Tuk or Taxi. Some of most popular stall here include Rut & Lek Seafood, T & K seafood, and Kuay jab Nai Huan. Yaowarat also has a selection of restaurants with complete English menus, such as Cotton Restaurant or the hidden Jok Kitchen. Eating your way through Yaowarat should definitely be a thing to do in Bangkok. Chinatown is located South of Bangkok, on Yaowarat road. For what to do in Bangkok for 3 days, China town should not be missed by any means. Hop on a tuk tuk and discover the best food in China Town Bangkok with Inspitrip now! It is day 2 of your three-day getaway here in Bangkok. By now you should be well acquainted with our dear friend the Tuk Tuk. However, it is time we immerse ourselves even more by taking part in the daily commute of Bangkok’s residents via the Skytrain. The BTS Skytrain, Skytrain for short, is part of the Bangkok’s Mass Transit System. As the name suggests, Skytrain is a non-stop elevated transit system, consisting of 35 station and 2 main lines: Sukhumvit and Samrong. Each station has three levels: the first gives access to the station via stairs or escalator, the middle houses ticket booths and kiosks whereas the final level accommodates the platforms and railway. Traveling on the Skytrain is an experience itself. 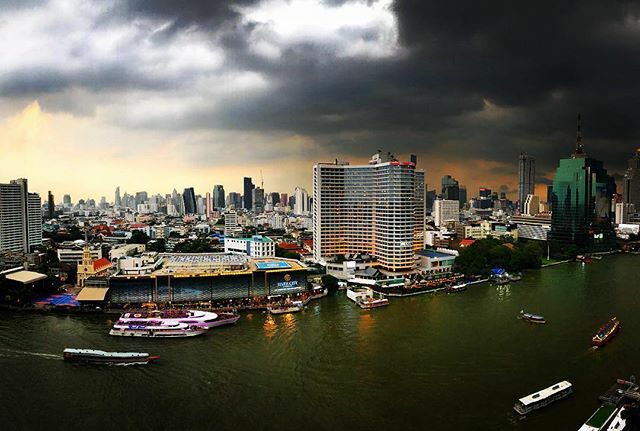 As you zip past the hectic traffic, you will have the privilege to observe the outlay of the city from above and the see Bangkok for the mind-boggling mix of contrast it is. This train can also be your alternative mode of transport aside from Tuk Tuk and taxi. Since the costs are calculated according to the distance of travel, the Skytrain is a lot more economical and offers more independence for those wishing to get off the tourist’s trail. 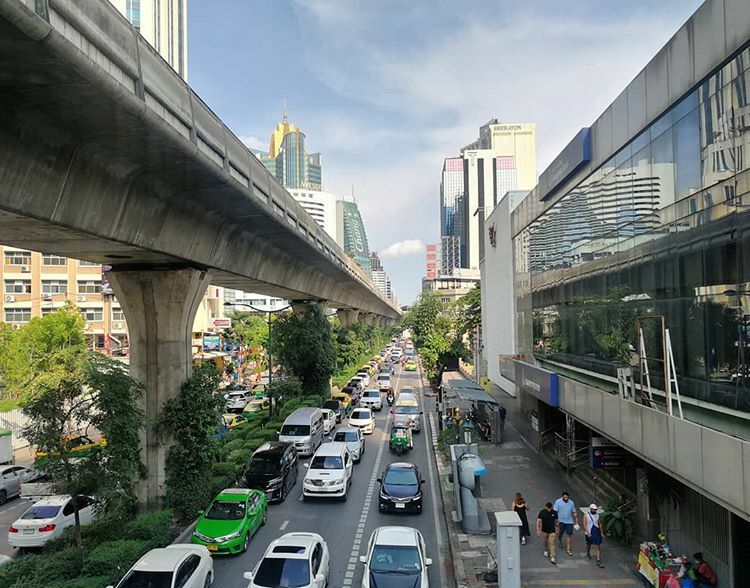 The Skytrain’s rail track over Sukhumvit Road. After your train ride, pay a visit to Lumpini Park, a 57.6 hectare of green ground in the middle of the business district. The park was built by King Rama IV who originally meant for the park to be a museum. 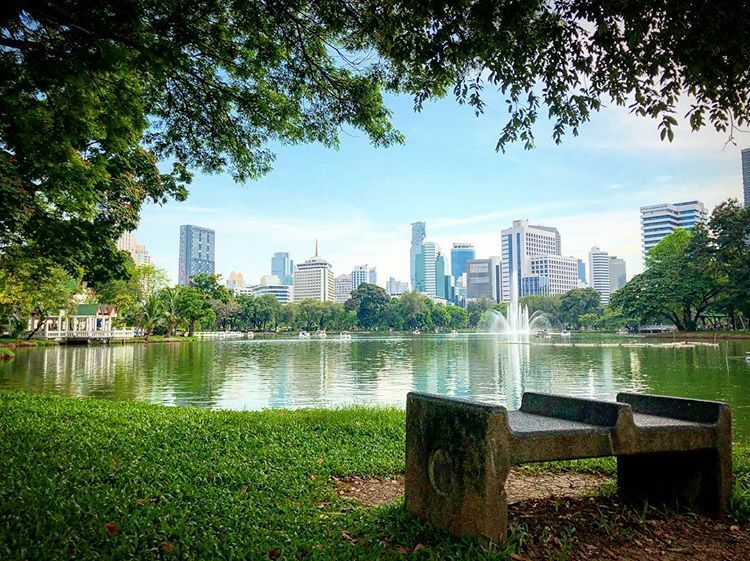 After World War I, it became the first park in Bangkok, situated on the North of Rama IV Road, between Ratchamri Road and Witthaya Road. The park’s name Lumpini was also the birthplace of Buddha in Nepal. It also sees an artificial lake and Bangkok’s first public library. Lumpini Park is open from 4:30 to 21:00 and employs a no-smoking and no dogs policy. It is also close to the Sala Daeng Station so taking the Skytrain is a bit more convenient. A lakeside view of the park. Next up on your itinerary is Siam Square. If you want to know what is currently ‘in’ right now in Bangkok, just go to Siam. The place is something of an open-air shopping complex, stretching from Rama I Road to Chulalongkorn University Campus and Phayathai Road. It is the venue where the confluence of trends and creativity takes place, made evident by the combination of world renowned high-end brands and independent traders. Wander around here and you will come across numerous boutiques and cafes, a more-than-plenty variety of food options dotting the street. Siam Square One, a recent addition to Siam, is multi-storey high shopping center, housing not just luxurious names in fashion but also fine-dining restaurants. Siam Square glamorous at nightfall. As you continues to unravel the extravagant aspect of Bangkok, Sukhumvit Road is a must-go destination. Sukhumvit is widely praised for its extensive collection of fancy restaurants, shopping malls and hotels. 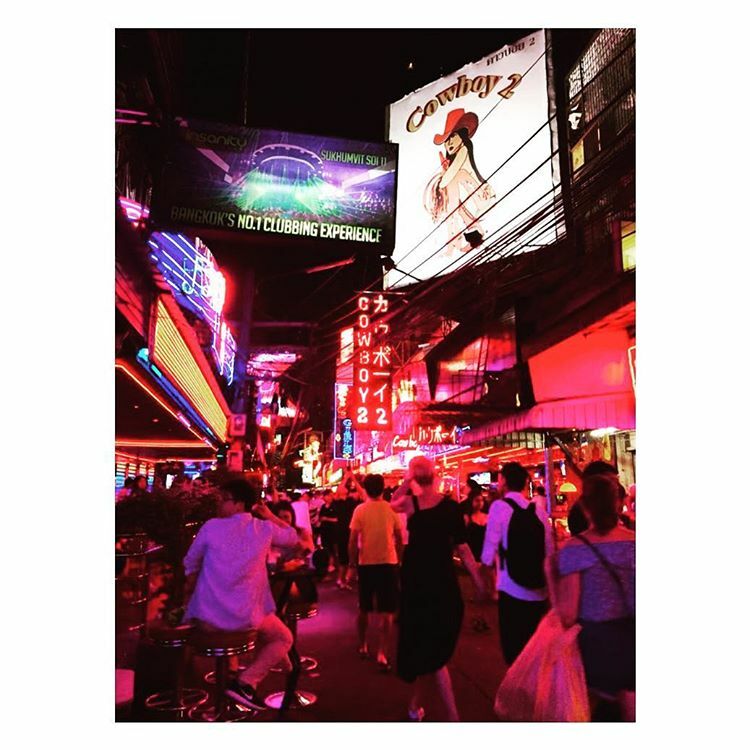 The Bangkok nightlife here can never be described as boring or uneventful as it hosts almost all the finest clubs in town, such as the likes of Soi Cowboy, Octave Rooftop Bar and Lounge, Levels, or Above Elevens. If you are in search for a more elevated shopping experience, look no further as the best in Sukhumvit are Emporium and Terminal 21. 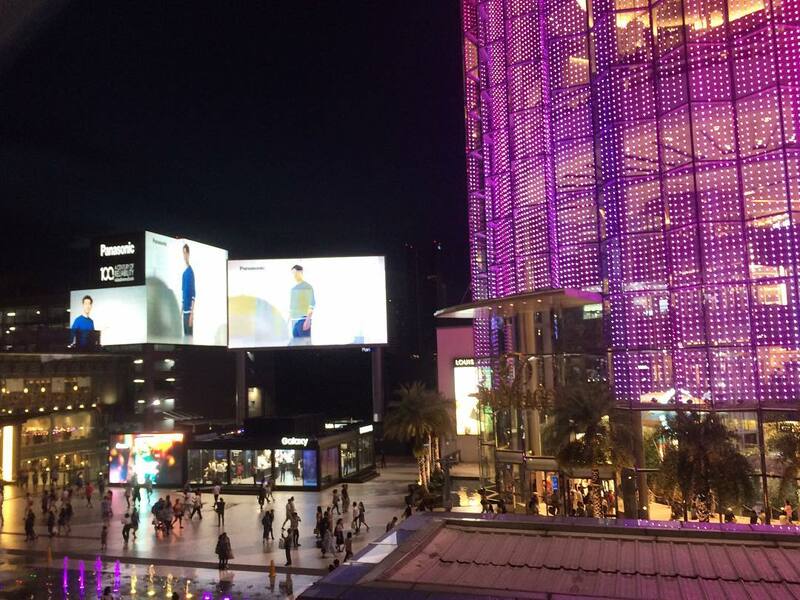 In conjunction with Siam Square, Sukhumvit helps portray the contrasting nature of Bangkok, one part traditional, one part eclectically modern, one hundred per cent awe-inspiring. Since the high railway runs directly over the area, it is undoubted more convenient to of opt for the Skytrain. A scene at Sukhumvit at night. On the final day of your trip, head over to the Museum of Contemporary Art. This museum is a must-see attraction for all those who adore art. The museum or MOCA, built in 2012, houses a great collection of more than 800 works of art collected by Boonchai Bencharongkul while demonstrating how Thai fine art has evolved since the advent of Western concepts in Thailand. 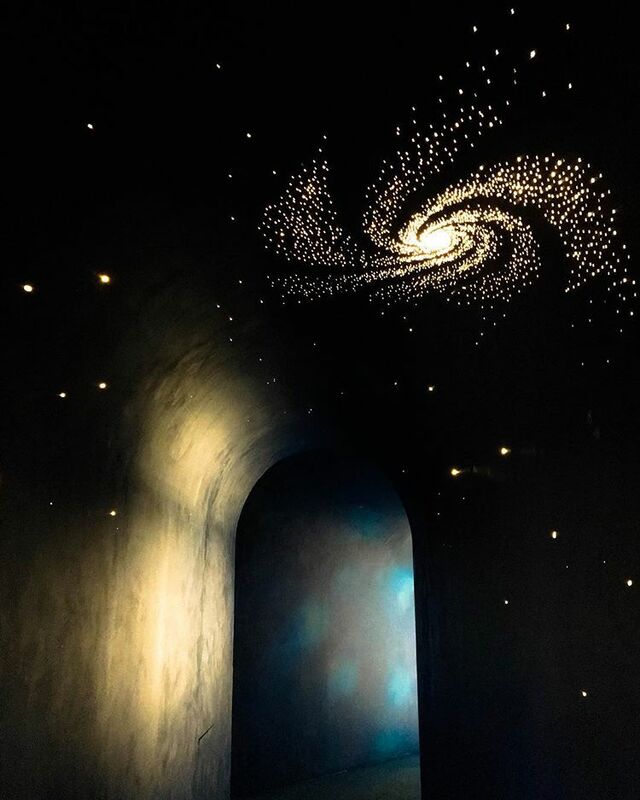 It is also a place that grants artists the freedom to explore controversial topics such as religion, governmental corruption, the erosion and, eventually, the disappearance of cultural values. With a view to enable the appreciation of fine art, the museum, which is of international standard, has been specifically designed to let in an abundant amount of natural light. The museum is open to guests from Tuesday to Sunday with operating hours between 10:00 and 18:00, so it is best to schedule your visit in advance. You can find the Museum of Contemporary Art at 3 Vibhavadi Rangsit, Chatuchak. 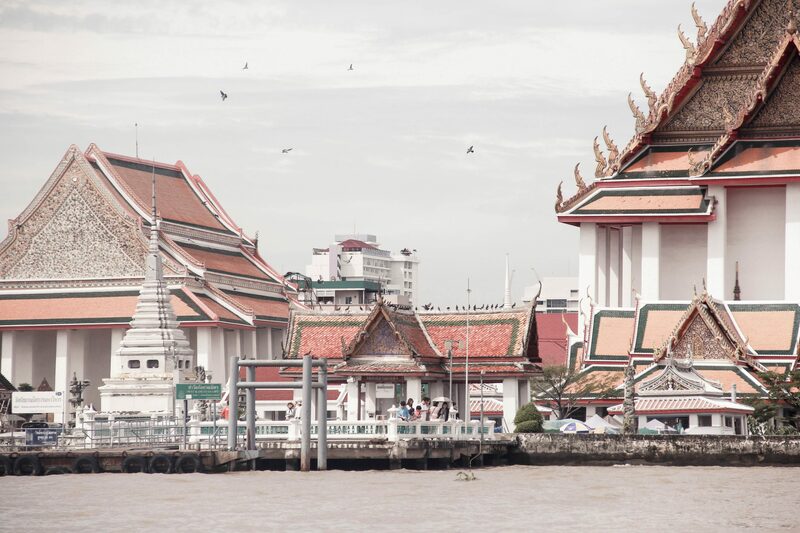 Rather overshadowed by major attraction such as the Wat Arun or the Grand Palace, the charismatic Thonburi modestly resides on the West of Chao Phraya River. Thonburi was once a miniature version of Venice as the main mode of transport back then was boats via the Khlongs. The neighborhood also happens to possess its own dedicated and comprehensive water ways, allowing tourists to explore the city from a whole new perspective. As underrated as Thonburi is, there is much to uncover from this developing section of Bangkok, such as Wat Kalayanamit and The Three Sixty Lounge Rooftop Bar. While the former has its own pier and takes only a ferry ride from the opposite side at Rachinee pier, the latter is located at 123 Charoennakorn Road, Klongsan. Thonburi as seen from above. 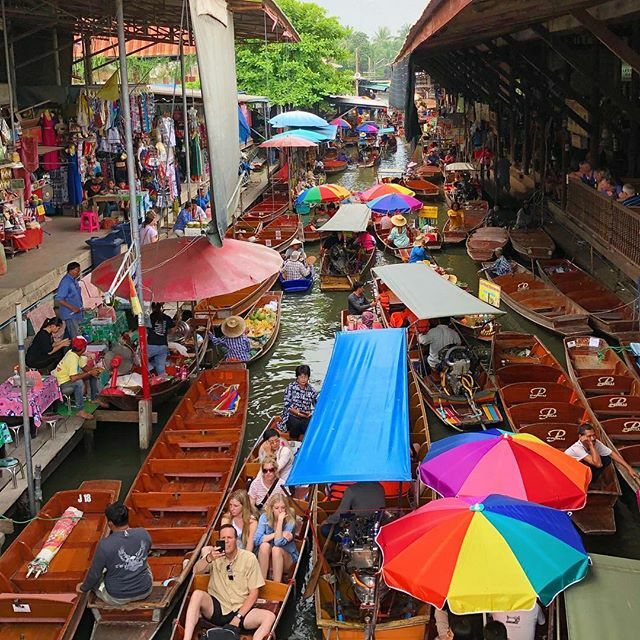 For the next installment of your last day in Bangkok, make your way to Damoen Saduak Floating Market and Maeklong Railway Market. Damoen Saduak is Thailand’s most legendary floating market, offering a unique and unadulterated peak into a bygone era through the locals’ way of life. Weaving your way through the complicated interconnected waterways and a jungle of vendors constantly touting colorful handicrafts and fresh produce is an experience like no other. 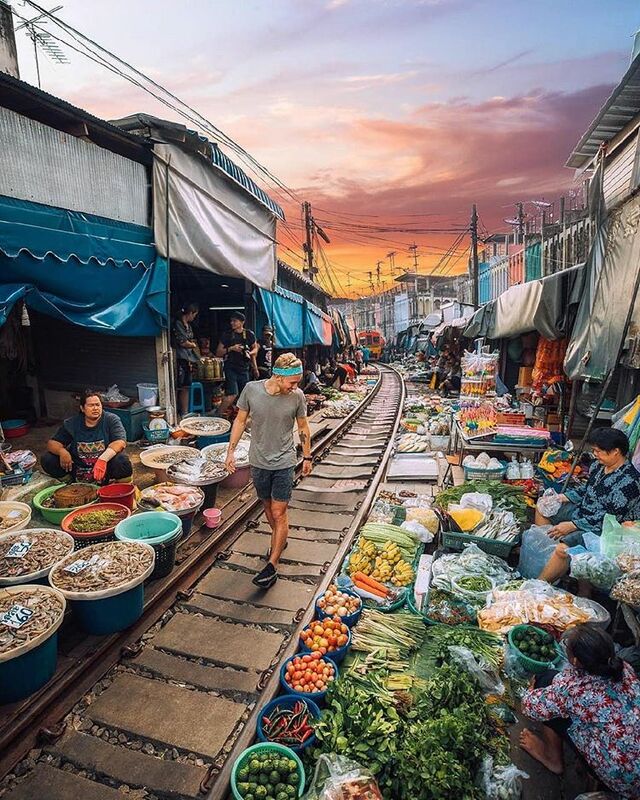 Maeklong Railway Market is equally, if not more interesting. There, safety seems to be thrown out of the window, if there is any, as vendors lay their goods dangerously close to track. At first you might be alarmed and question the locals’ sanity, but that will soon be replaced with a sense of amazement as you realise that there is an unspoken routine. As the loud fog horn heralds the train’s arrival, the vendors move their wares so that the train can pass through with barely a foot to spare. And while the train rolls by, the locals stand perilously yet nonchalantly close before resuming normal business as if nothing out of the ordinary has happened or that there was not any metal colossus passing through. Words can only go so far. In order to witness these markets in their full glory, you will probably need a local guide. Curious about Meaklong train market and Damnoen Saduak floating market? Let Inspitrip take you on the journey to discover them! the bustling atmosphere that is signature of Damoen Saduak floating market. the alarmingly amazing layout of the market.